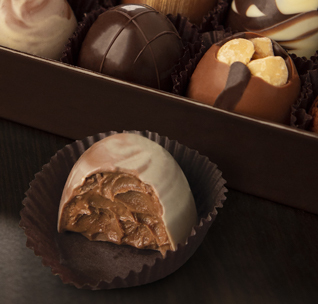 Timeless favorites make up our most popular collection including luscious caramel variations, pure fruit creams bursting with wonderfully intense flavors, as well as re-inspired traditional selections. These twelve incredible variations seem almost too beautiful to eat…almost. Each oversized piece is individually and artistically designed, but their true beauty lies within. Each silky, rich truffle is like a petite, luxurious chocolate dessert. For those who have an appreciation for diverse flavors, textures and taste combinations. 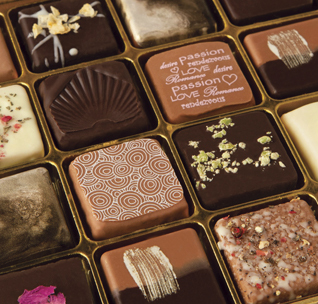 By creating unique combinations of spices, rare ingredients and chocolate imported from around the world, this extraordinary palate of chocolates will take you to a new level of appreciation!